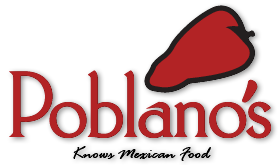 Online ordering menu for Poblano's Restaurant (Westgate City). Welcome to Poblano's Restuarant, where we know Mexican food! Try our Monster Burrito, Poblano's Fundido, and Boarder Quesadilla. We also have fajitas, nachos, and plenty of other options we're sure you'll enjoy! Find us at the corner of W Gate City Blvd and Mackay Rd, in the business center, not too far from Harris Teeter. Check out our menu and order online today!